Such exciting news: two of my work colleagues announced their wives are expecting their first babies! As a knitter this is great news and we can go through all those adorable little baby patterns that keep piling up in our pattern files. 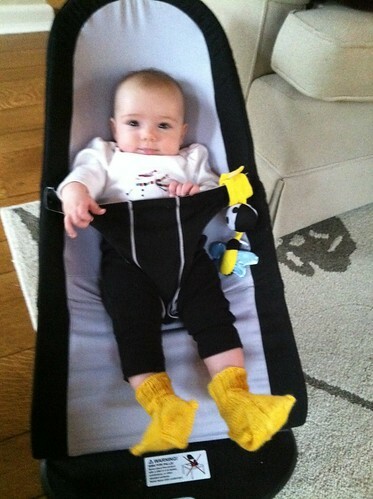 Last time we had a crop of office babies I made the adorable duck socks from Knitty and a snuggly cap and matching booties. 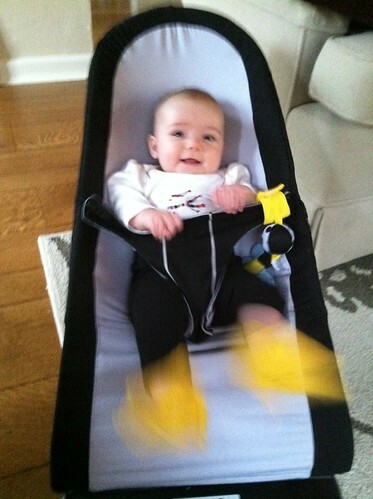 Her dad says she loves these booties so much, and loved “paddling” with them. Awwww, adorable! 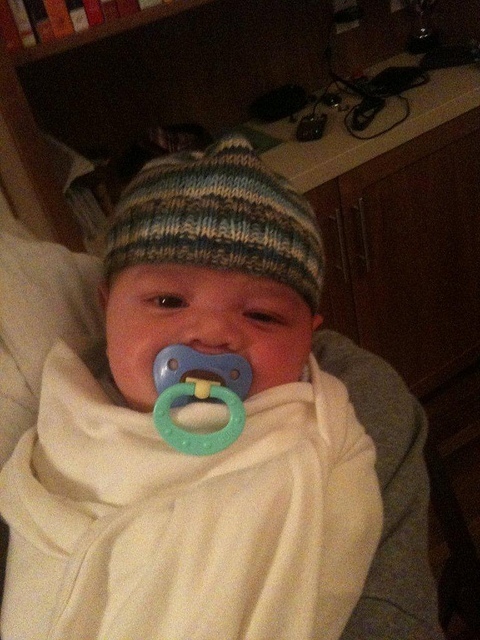 Here’s Jack, wearing the little cap I knit him from 101 Designer One Skein Wonders. 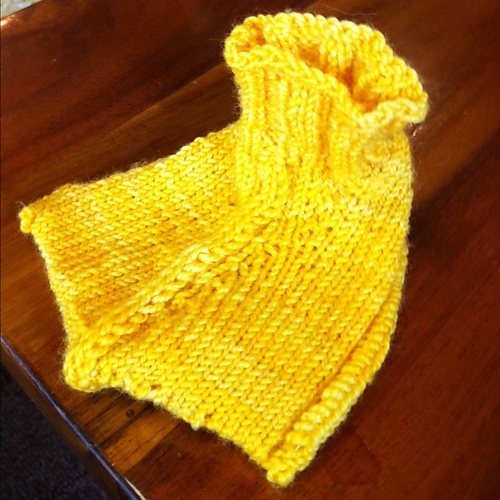 Wish I had a picture of the booties, they were so cute, based upon an heirloom design from Victorian times I think. He now weighs close to 30 pounds, what a huge little guy! Obviously the hat no longer fits him! For this new round of office babies there again will be a baby girl and baby boy, and I already have an idea of what to make. 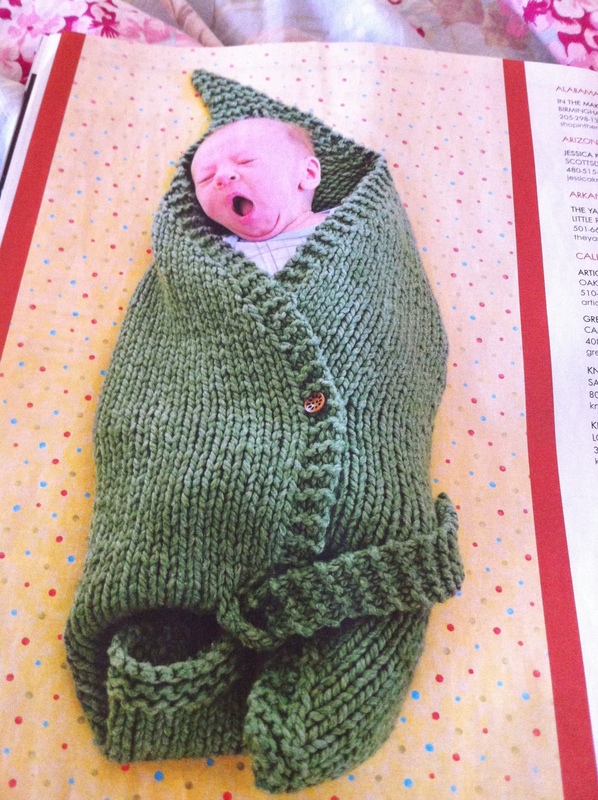 For the boy, I just spotted this photo this morning in the Summer Interweave Knits Magazine, the Spud & Chloë leaf blanket. It is just so adorable, I am really excited to make this one up. For the girl I have a beautiful baby kimono jacket pattern from Tess, a score picked up at Stitches West years ago. 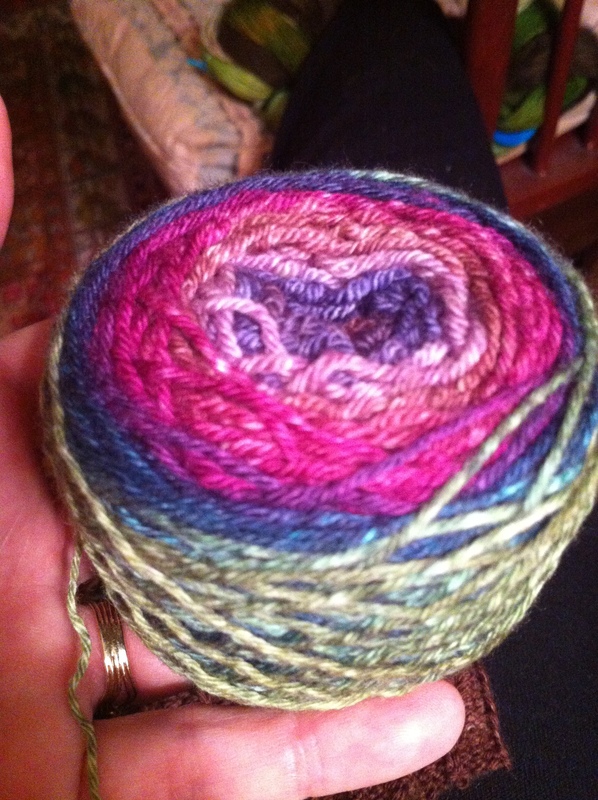 I have the yarn already too, in a lovely pink/apricot hue in Tess baby sock yarn, so adorably soft and girly. The babies are due in early September so there is plenty of time to get cracking! 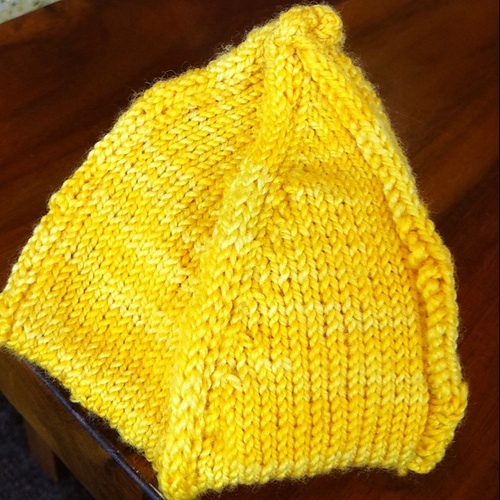 What are your favorite baby projects? 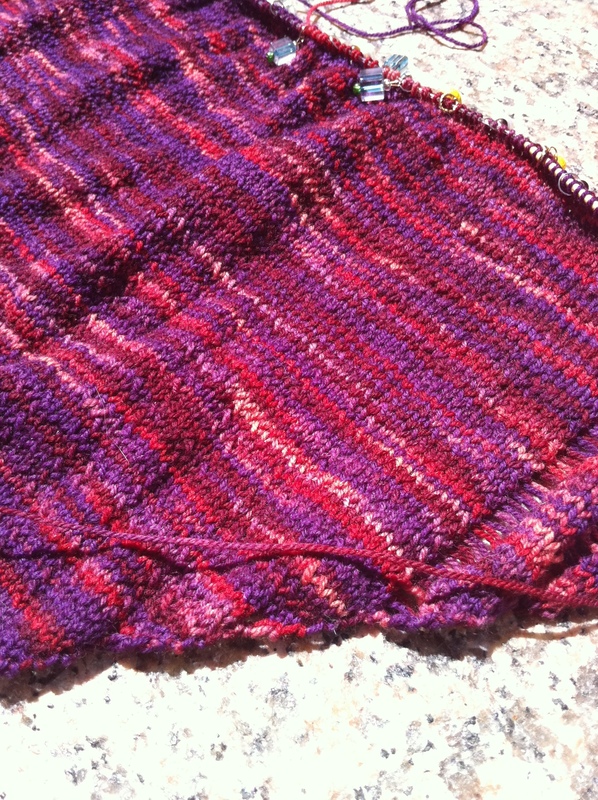 This winter I talked about starting a Clapotis knit-a-long in May, it’s time, let’s go!! I started a Facebook group for the knit-a-long for the fun Clapotis scarf/shawl. I will be casting on next week at a little Knit and Nosh with a dear friend, E___. It took a bit longer than I expected but the cookie a Wedge socks are done! They are so soft and plushy and I love the way the Jarwol Magic Stripe yarn does its magic. The colors shift like light through deep water, shades of emerald and sapphire shimmer through onyx stripes. 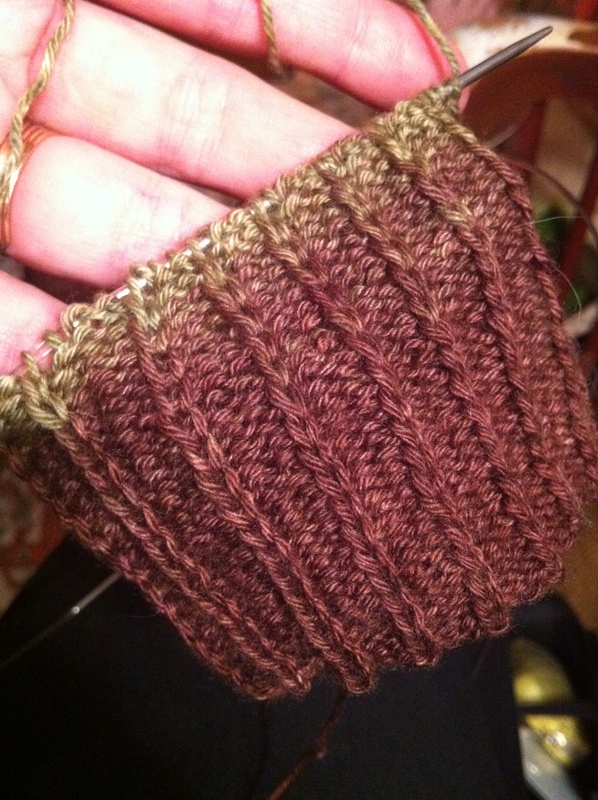 The pattern was certainly the most different from anything I has ever attempted. Bands of short row garter stitch interspersed with sections of stockinette make interesting stripes of different texture, sculptural and yet very comfortable when worn. 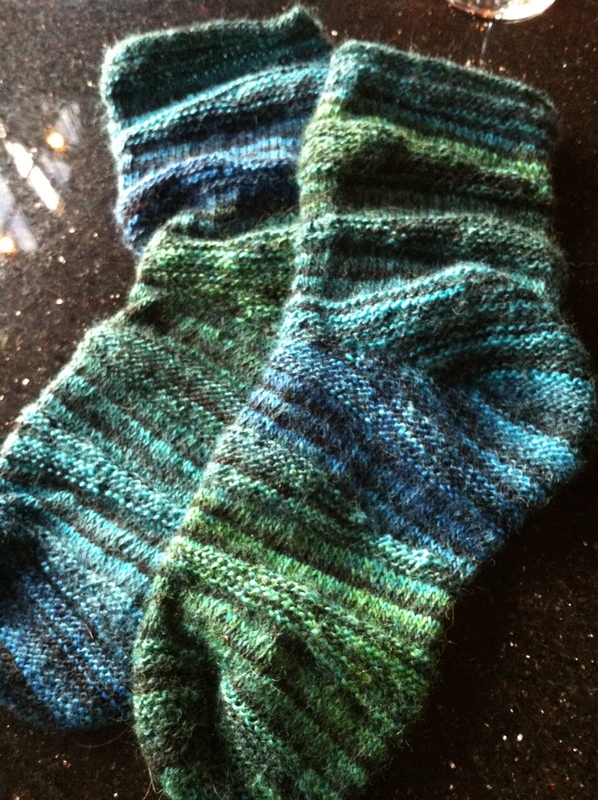 This pattern is from the Knit, Sock, Love book mOm gave me for our last Christmas together in 2010. It’s such a wonderful book and great fun to finally make one of its innovative patterns. I took them to my knitting group tonight to show them off a bit, they enjoyed the spotlight and posed for a few photos. Tomorrow is their debut on my feet, or rather foot, as I am wearing only one sock with my gigantor air cast boot. But what a luxury to wear against the skin, ultra soft merino wool in glowing jewel colors. 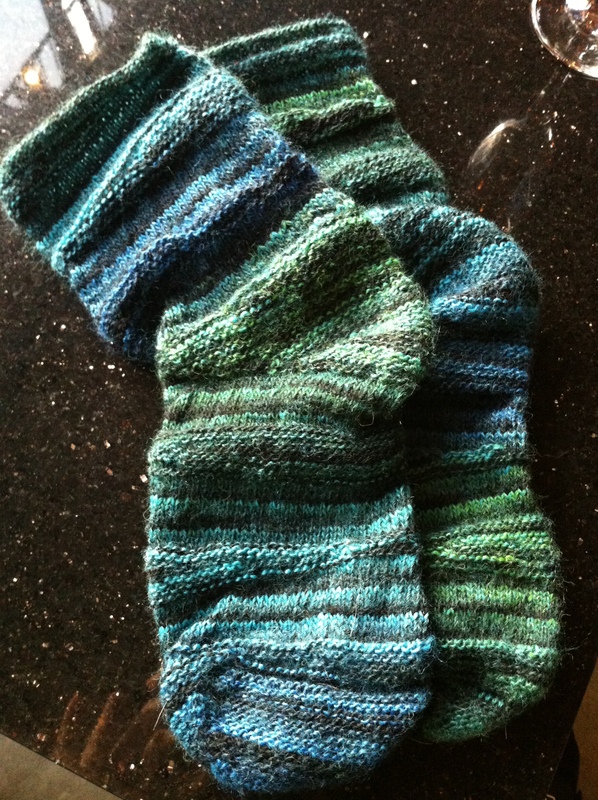 Posted in knitting and tagged cookie a, jarwool magic stripe, knitting, socks, wedge. Bookmark the permalink.